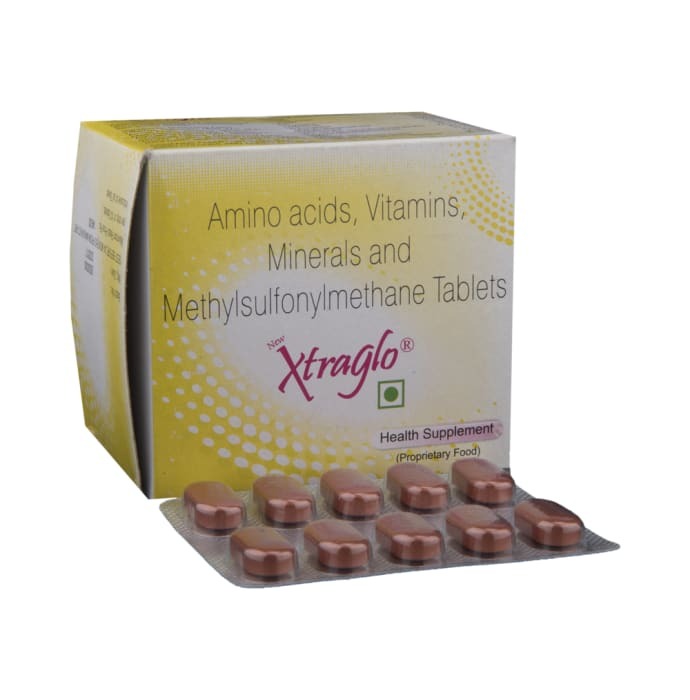 Xtraglo tablet is enriched with Biotin, Copper, Iron, Selenium, Zinc, L-cysteine, L-lysine, Methionine, Methylsulfonylmethane, Niacinamide, Vitamin B5.Xtraglo tablet is a multivitamin made from natural extracts for the strengthening and growth of hair. The Xtraglo tablet works by promoting hair growth at cellular levels, it works within the scalp and increase the hair growth. For shiny and healthy hair, a person must consume one Xtraglo tablet every day after a healthy meal. It can either be consumed with a glass of water or juice for best results. A licensed pharmacy from your nearest location will deliver New Xtraglo Tablet. Once the pharmacy accepts your order, the details of the pharmacy will be shared with you. Acceptance of your order is based on the validity of your prescription and the availability of this medicine.